Here's a layout with an embellishment I had never used on a scrapbook page, until this one. Yes, that is a real record! The Paper Bakery July add-on kit actually has a vintage 45 as part of the kit. It was just perfect for these pics of my Dad in-law in high school. 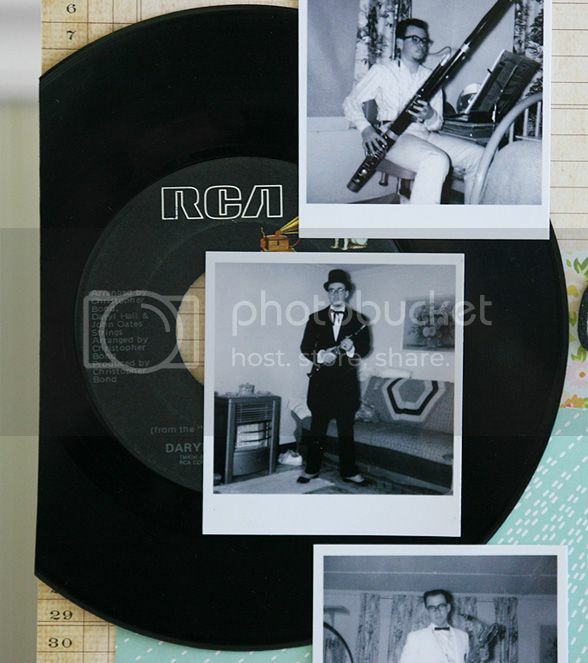 I wanted to use the record on the side of the layout, so I used a craft knife and a ruler to cut off several inches. It took a few passes with the knife, but it cut right through! Oh, and remember a few months back I asked for prayers for my Mom in-law that had just been diagnosed with breast cancer. Well, she was feeling good enough this past week to come visit for a few days! That is so cool, using a real record on a page! Glad your mil was feeling up for a visit. I'll keep her in my prayers. That's something I've never used either! Love how your layout turned out. It is the perfect embellishment for your cool photos! Looks like you are enjoying the visit - sending p&pt to your MIL! I've never used a record either. You did an amazing job using it. The perfect touch for this page. Great idea for the record!! You are always so creative with your pages. I love that you included a record, what a fantastic design element, and it's wonderful that your parents were able to get out and enjoy some time with grandkids! Love the looks of your layout!! Seriously great layout! I love the record! 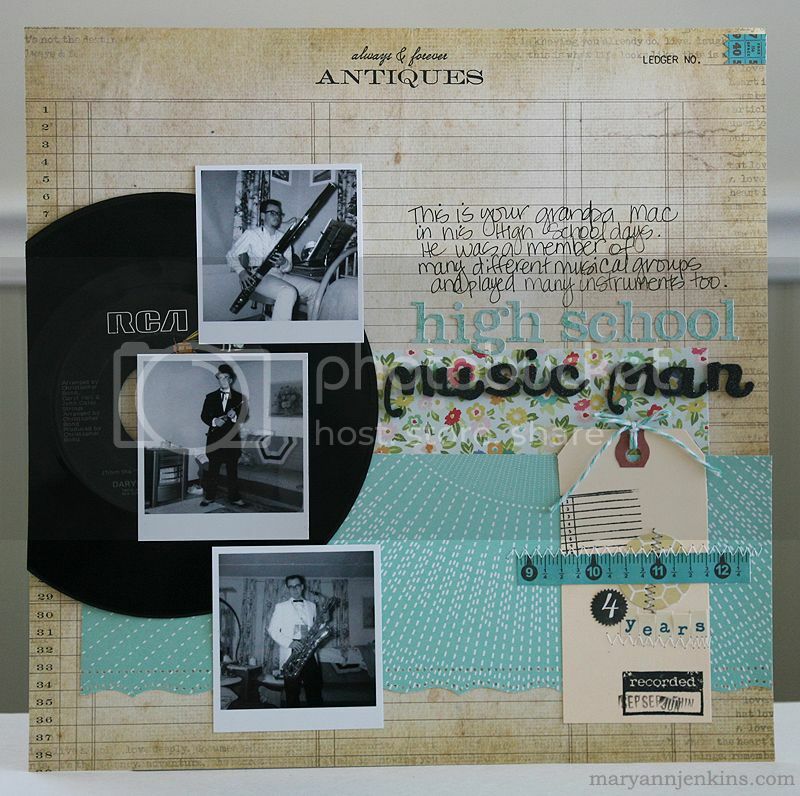 I love this layout and using the record was such a cool idea! Glad to see that you and your family got to spend some time with your MIL! I love those photos and how your layout goes so well with them. Very creative. Can't believe that was part of a monthly kit? Continued prayers to your mother in law during her continued treatments. The Music Man layout turned out fabulous and totally unique! fabulous~love the record on the Lo. Very unique !! !